My tribute to the ultimate in portable audio! 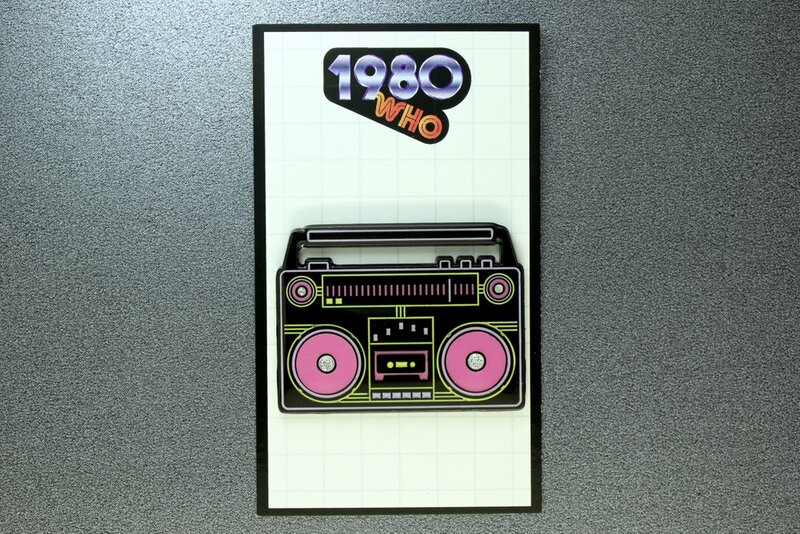 Nothing will ever compare to the stylish boomboxes of the early 1980's and this pin captures the look. 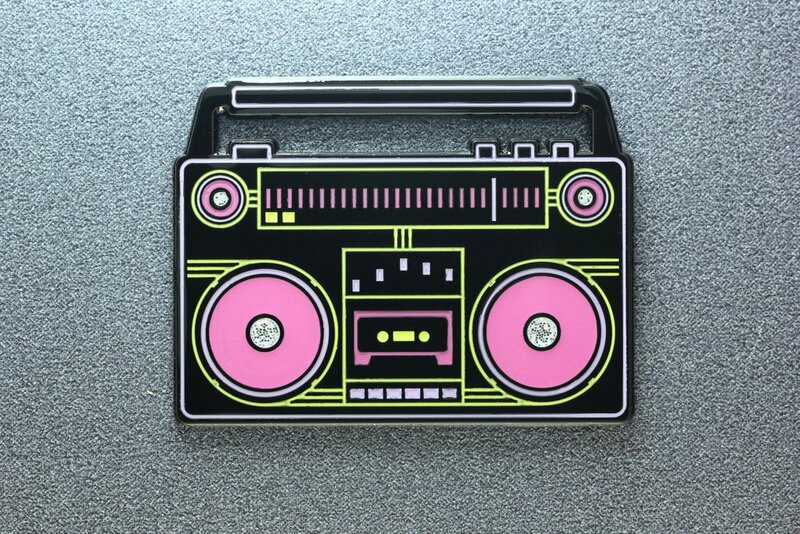 Pin is 1.75" wide, double posted, soft enamel. Neon Black has an epoxy top layer to seal in the glitter. Comes to you carded and bagged.